The biggest creep in your life may not be that ex, or even that weird guy in the office who just stares at you for no reason as you make your way to the restroom. Nope, worse than all those people, your smartphone is the biggest creep you will ever know. And you will be surprised at how much information your phone can store about your personal life that, when placed in the wrong hands, could be pretty dangerous. Some pre-installed apps on your smartphone may be actively tracking your movements without you knowing. “Find Friend” in the iPhone and “Google Latitude” in Android phones, for example, are pre-installed social apps that work a bit like Foursquare. The problem lies in the fact that most people never use these apps — so if someone manages to hack into your phone to switch them on, you’re likely to never know. To see if your app is running without your knowledge, just switch it on to see if it actually has access to your location services. If so, it’s best to switch it off. Google Latitude has been discontinued as of 2013, but if you have an old phone model, it’s better to be safe than sorry, and check that it isn’t in use. 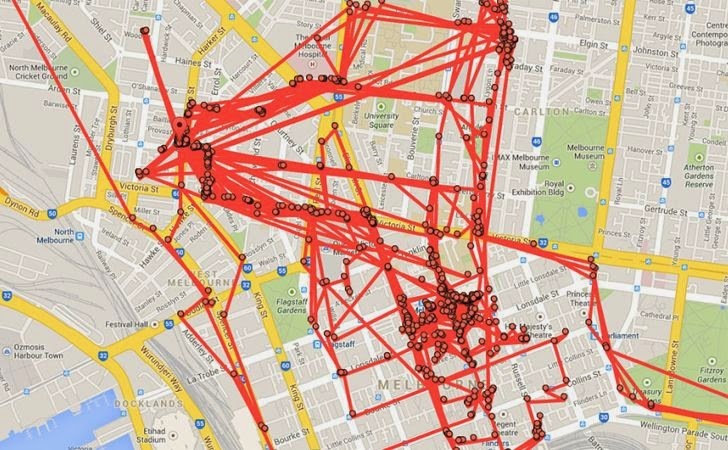 The obvious culprit in the stalking game is your Maps app, which is probably constantly gathering information on your frequent locations whenever you pull it out to check for directions. Google Maps stores your frequent locations in their Location History, a site that practically maps your movements and more frequented locations. These probably include your office and home address — and will likely reveal your whereabouts if you’re running off for a secret rendevous. 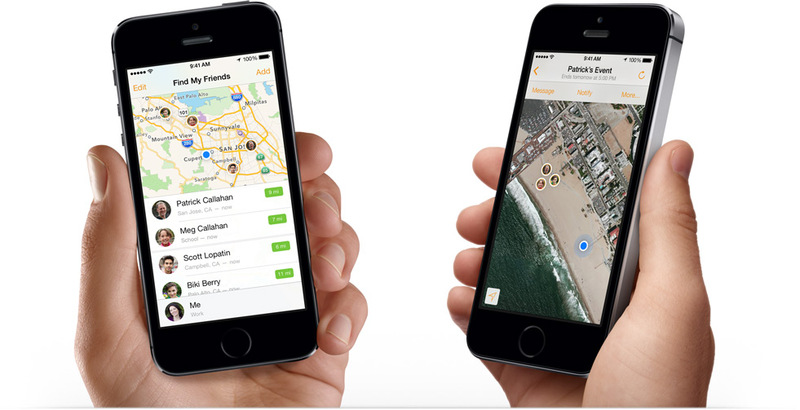 To make things worse, using location services on your iPhone will create a cache of frequented destinations, from your favourite bar to your home address. According to Apple, it only happens when you enable Maps, but it’s still a terrifying reminder that your device does store an immense amount of data on your whereabouts simply because you switched on your location services. A big problem is that it’s pretty accurate. When I checked my phone, I found it terrifying that it could pinpoint my home’s exact location, my sister’s home, and my office, including the corresponding times I was there from the past week. To check (and clear) your location services, simply go to Settings -> Privacy -> Location Services -> System Services -> Frequent Locations. It’s really convenient for any Android user to have a single account that controls everything, but that too comes at a price. Unbeknownst to most, anyone with your Google account password can log into your Google Play account and install apps directly to your phone via the web platform, as long as your phone is switched on. 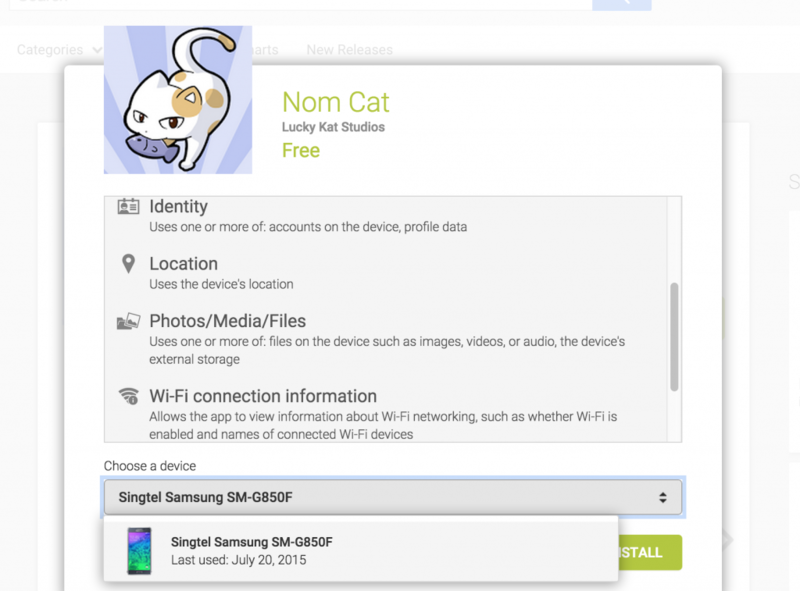 I tested this with my colleague’s app, downloading a cute cat game that I knew she’d like, but more nefarious hackers would probably download spyware or tracking apps to gather much more than just your location. So be very wary of hackers, and change your password regularly. 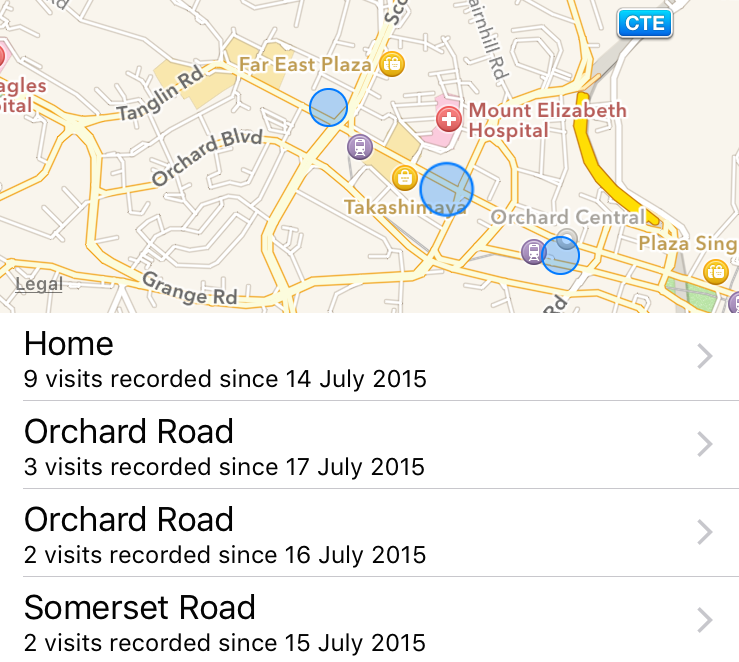 If you hadn’t realised already, social media apps gather your location information whether you ‘check in’ or not. Twitter is one example, but nothing is quite as telling as Facebook Messenger, which sends your location information by default. 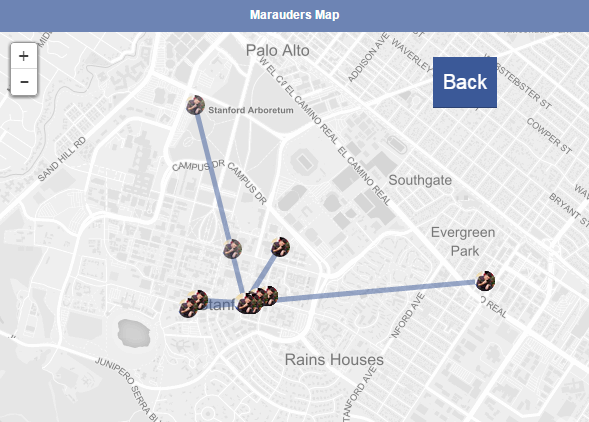 An example is the Mauraders Map Chrome extension, a social experiment that used location information sent with each message to track the movements of your Facebook friends in a certain chat group. The extension has since been taken down by the user on Facebook’s request, but their story exposing how much location information a simple messaging app stores will send chills down your back. 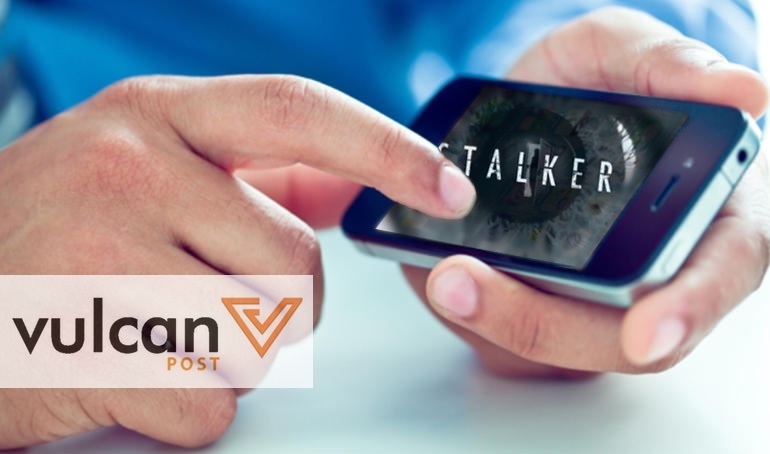 While it’s clear that all this info is readily offered by us (the users) to amplify our mobile experience, these are just a few tips that will serve to remind us about how easy it could be for someone with malicious intent to stalk you through your smartphone. Because of this, it’s important to remember to take basic steps to ensure online activity safety — little things like changing your password often or clearing your location history now and then can make a big difference. So stay safe, and remember: constant vigilance.